Property 10: Bucks Cozy Cabin Adventure! Property 12: Book Your Summer Escape without a Cleaning Fee! 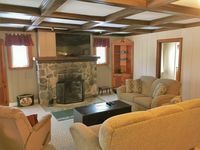 Property 13: Albrightsville Cabin w/Hot Tub - 10 Min to Slopes! Property 14: Cabin w/ Fire Pit & Decks - Walk to Lake Harmony! Property 15: Secluded Mtn Cabin w/Deck - Walk to Lake Harmony! Property 17: GREAT LOCATION ,FREE THURSDAY NIGHT FREE WIFI SERVING OUR CUSTOMERS FOR 28 YRS! 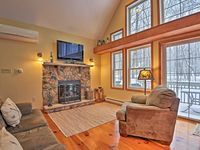 Property 25: Cozy Pocono Getaway Close to Jack Frost and Big Boulder! Property 40: Lake Harmony Home w/ Hot Tub, Deck & Forest Views!